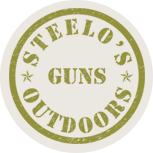 Steelo’s Guns and Outdoors is a family owned and locally operated business situated in the heart of Western Australia’s Great Southern township of Narrogin. The retail front was born out of a love of travel and adventure of the directors – Steelo and Heidi, who have travelled WA extensively – camping, 4wding, fishing, diving, surfing, shooting and generally living the Australian dream. In 2013, after completing a 3 month long service leave trip and doing “the lap” in their modified Ford Ranger and home built camper; exploring the Vic High Country, Moreton and Fraser Islands, the Tele Track and the Cape York Peninsula, they returned to the Great Southern with a thirst to service those who also sought adventure….. because as we know – adventure doesn’t make house calls and sometimes you need some things to help you get there and back. Need a new firearm/scope or accessories? Steelo’s has got you covered with the best supply in the Great Southern and super competitive pricing. We’ll make it worth the drive out of the big smoke! Can’t find it on the site? Give them a call and they can track it down for you!